Well where do I start what a great period this Spring has been. I have a predictions list of birds that should turn up on the wetland. 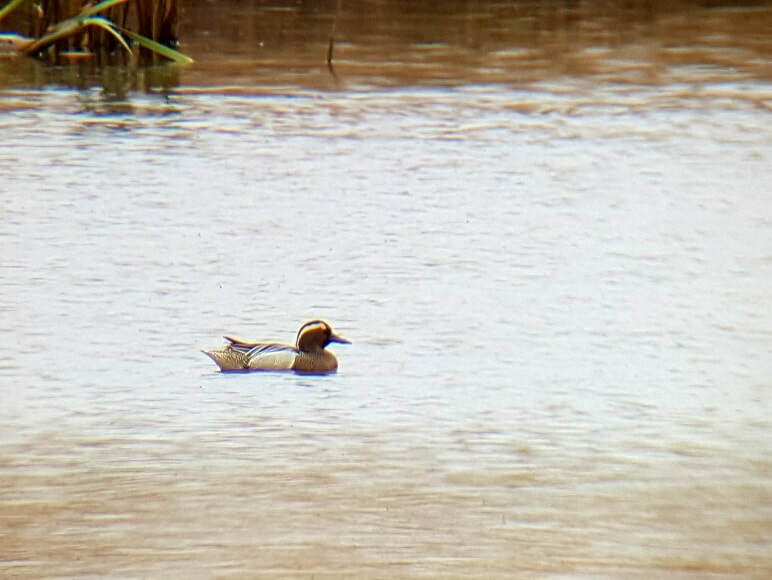 It was only a matter of time that Garganey was going to be taken off that list. This elusive species of dabbling duck is a Spring migrant to the UK and this male arrived right on cue on the 31/3. Garganey spend most of their time hiding in and around reed margins and can easily be missed especially on large wetlands. It took me 3 hours that Friday to locate it. Male Garganey. Very hard bird to keep tracks on blending into the edge habitat. Whilst looking for this I kept scanning past what I thought was a male Tufted Duck preening (they look like they have a white back but it’s actually their stomachs as they twist in the water) but to my surprise it was a male Scaup. Scaup are a sea duck which spend most of their time on the sea. Often they can occur on inland water bodies such as Pine Lake and Leighton Moss. 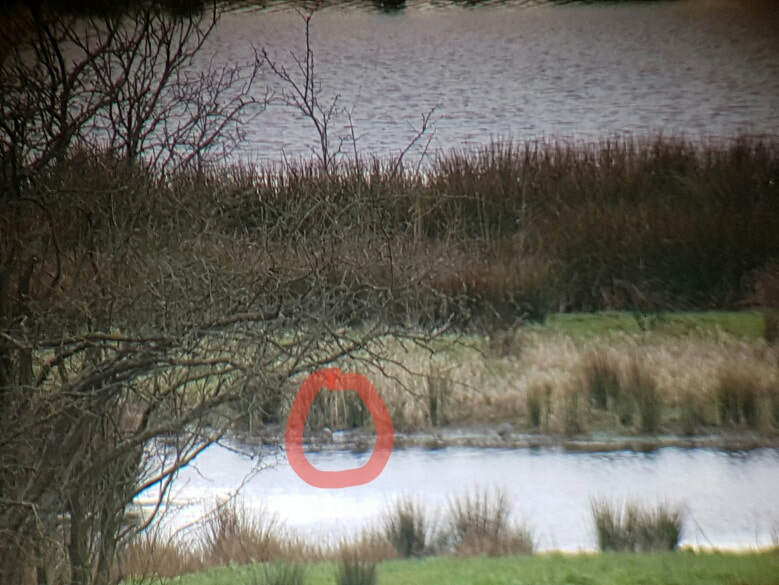 This drake must have looked a bit further north whilst coming in off the sea which then made its arrival no doubt the first of its species to be seen in the Lyth valley. As I have mentioned before species such as Pintail, Wigeon and Scaup use open expanses of water, so the creation of the wetland has brought these new to the valley. 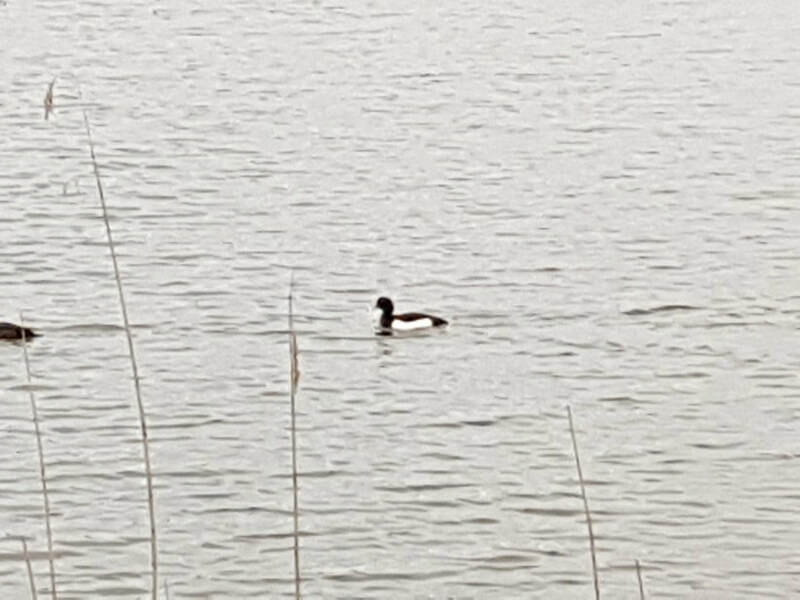 Scaup wasn’t on my most wanted list so came as a nice surprise. There was no sign after the 10/4 after an 11 day stay. The Garganey was seen a couple of days later but proved hard to connect with. 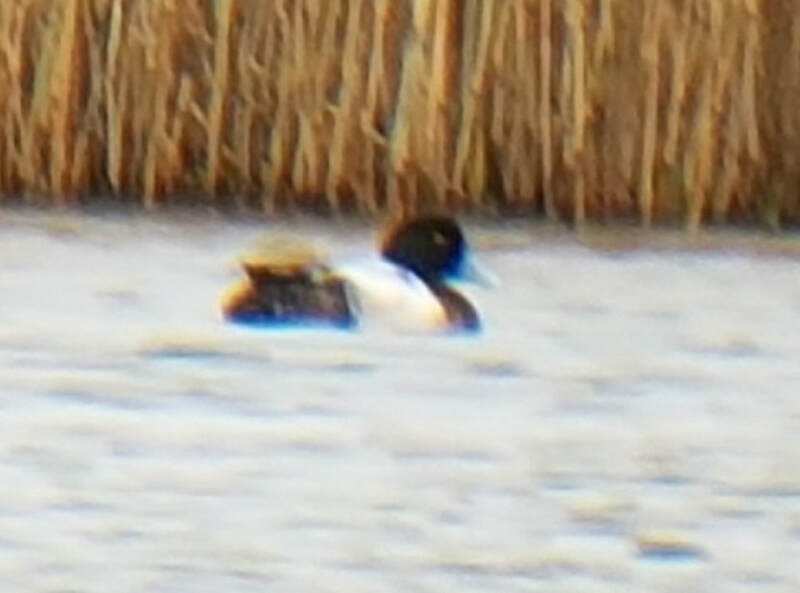 Photo of male Scaup. Scaup left Tufted duck right for comparison. Although similar to Tufted it differs by having no tufts, has a grey back and a more rounded head profile. Scaup like the Tufties are diving ducks. This individual liked the area at the north end of the wetland where the water is deeper in the channel. 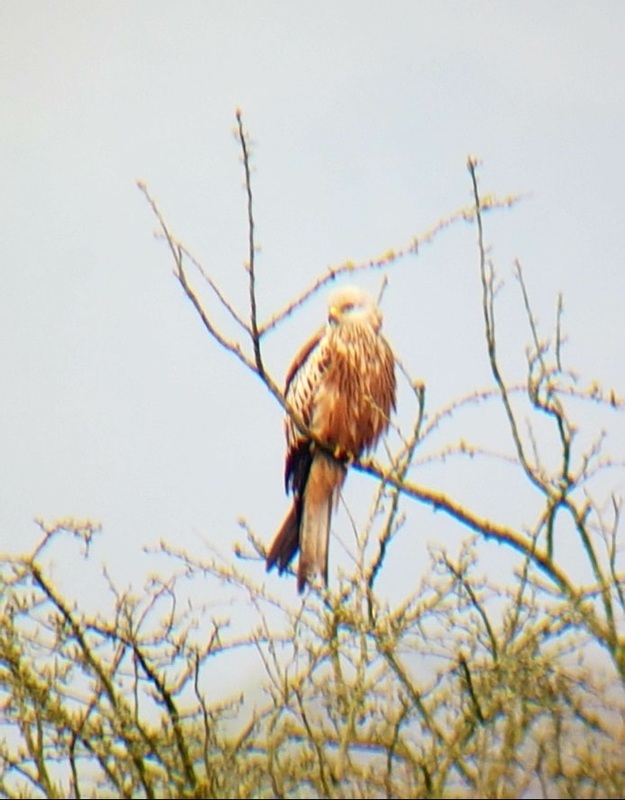 Next (which I wasn’t going to mention) highlight and personal Sizergh bogey bird for the last 10 years being that in the form of Red Kite! Yes ok they have been seen floating around Crossthwaite, Witherslack and Foulshaw but never (to my knowledge, the odd high fly over) been properly sighted on the estate. So it brought a smile to my face when I saw not 1 but 2! on the 18/4. These birds stayed on site for a good couple of weeks and often showed incredibly well perching on the central hawthorn belt and resting on the fence posts, this behaviour not often seen as mostly aerial birds that swoop down for their prey. These birds could have attempted to breed so I was trying to keep it as quiet as possible. 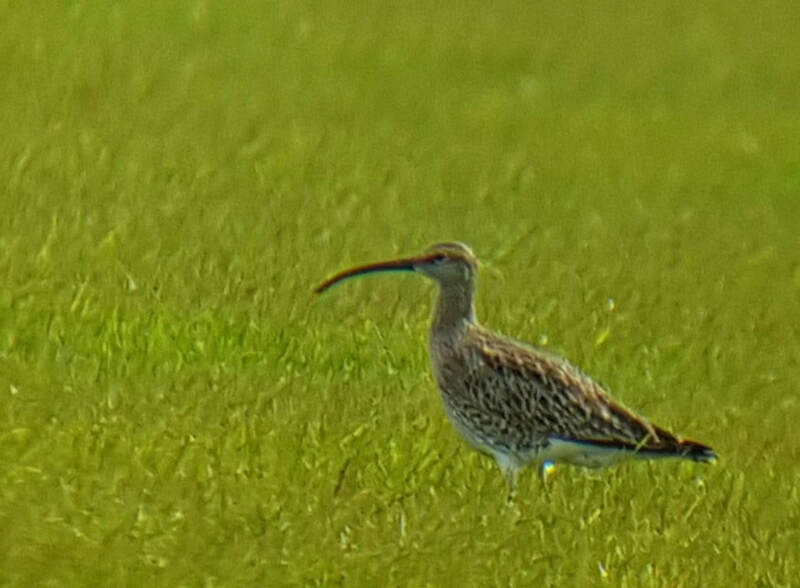 They have since been seen around the Lyth valley. 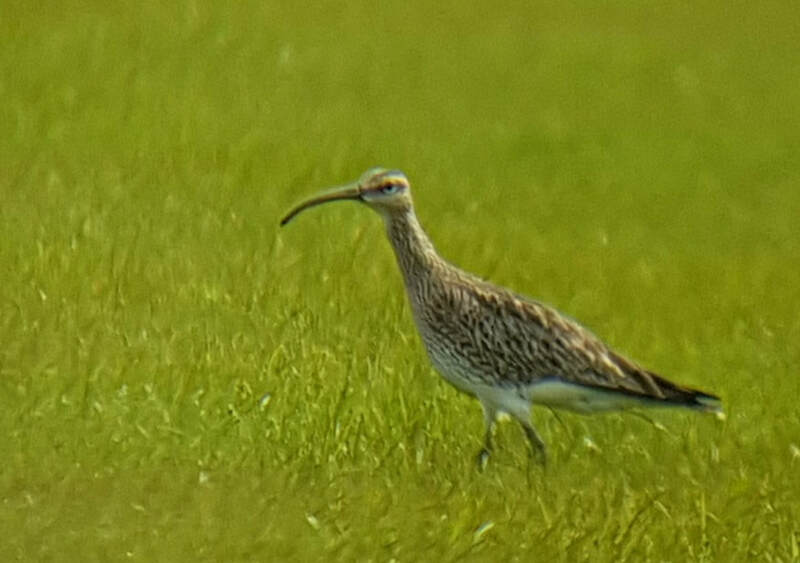 Whimbrels are very similar to Curlew but differ by having a smaller less curved bill and has 2 dark bands on the head and a smaller bird in general. Here is a quick summary of noteworthy species and key breeders. Little Grebe – a couple of nests viewable but have now got lost in reed growth. At least 5 pairs on site. Little Egret – one or two birds appear settled on site. Dawn visits of up to 16 have been seen post roost preening. Canada goose – first recorded breeding, 6 young. 2 pairs on site. Gadwall – 3 (1m 2f) have spent most of the spring on site. Shoveler – a pair seen on and off throughout March and April. Tufted duck – up to 18 (site record) seen throughout the period with 3 pairs currently looking likely to breed. Water Rail – about but not often seen. Lapwing – 2 pairs looked like they were seen sitting but hard to keep an eye on. 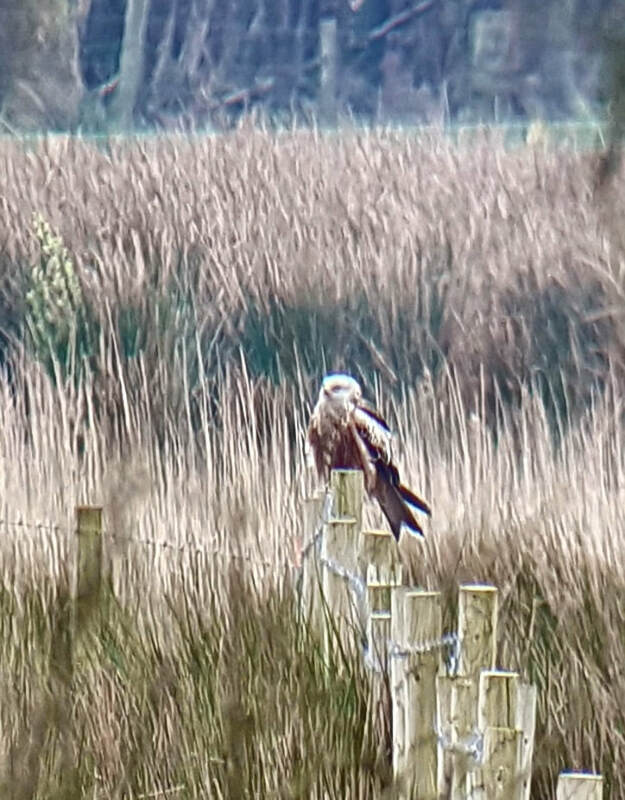 Young seen in field next to sluices and crow pecked eggs found in fenland. Grasshopper Warbler – reeling from 18/4. With 2 heard occasionally. Sedge Warbler – first blast of song from 20/4. 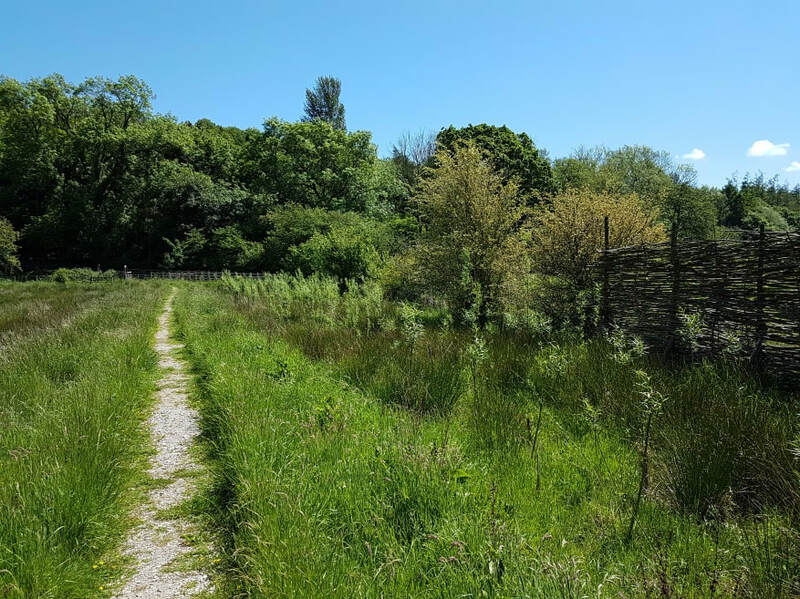 During March the estate volunteers planted some Willow along the footpath to create a natural screen which will help with easing disturbance to the birds on the approach to the hide. 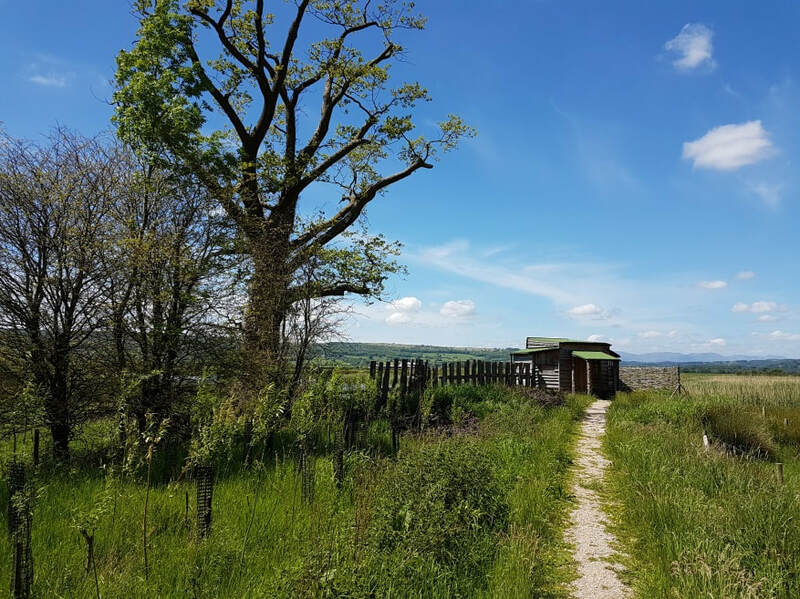 A walk around the entire site with Natural England staff on 18th May looking at the site in general got good feedback from the group. We walked through the rush field to the right of the hide and found various specialist fen species in particular Black Bog Rush which was brought in on the seed gathered from Hale Moss. This area is doing very well despite it looking still rather rushy it is suprising to see open areas establishing and key fen species coming along nicely. The reeds are doing incredibly well all around the site. The Willisons cattle have been let loose and are looking happy. 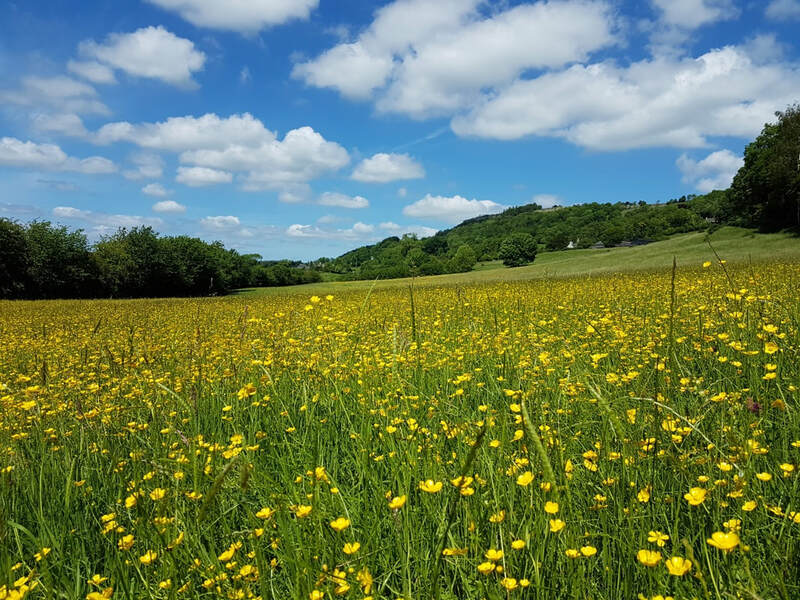 The wildlfower meadow is looking at its best for this time of year. I think the clouds in the photo really bring the photo together! 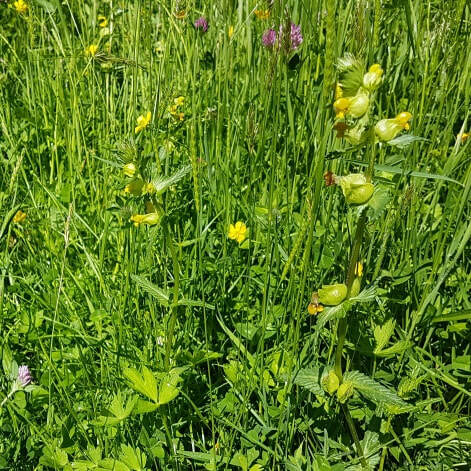 Yellow Rattle is appearing in large numbers across the meadow indicating that the seed spreading has worked that the Cumbria Wildflowers contractors did back in 2015. We are going into quieter times now with most species well in breeding mode and hiding within the reeds. 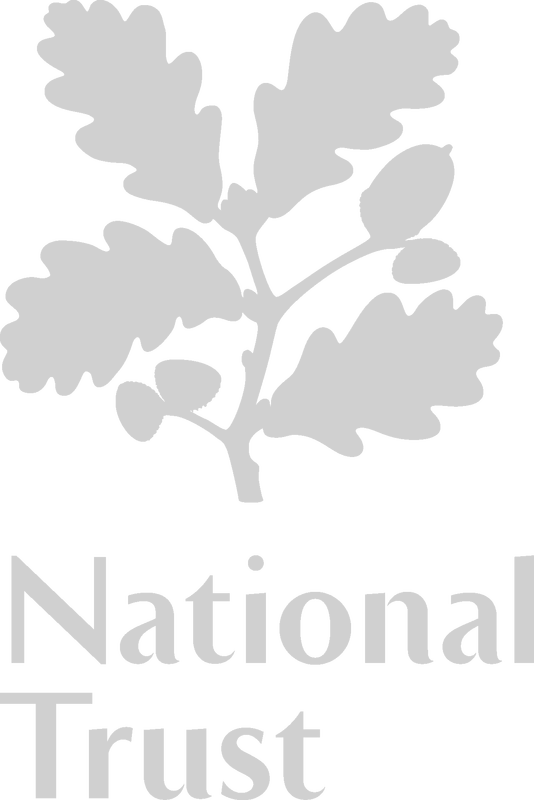 I’ll edge my bets and say that a Great White Egret will appear or even (from recent national trend) a Cattle Egret. Cattle Egrets have had a terrific year in Britain with up to 3 seen locally with the egrets at Leighton Moss for the past few months. Keep your eyes open for these cattle hoppers as they wonder in and out of the cows…just like they do on them African wildlife documentaires yes.